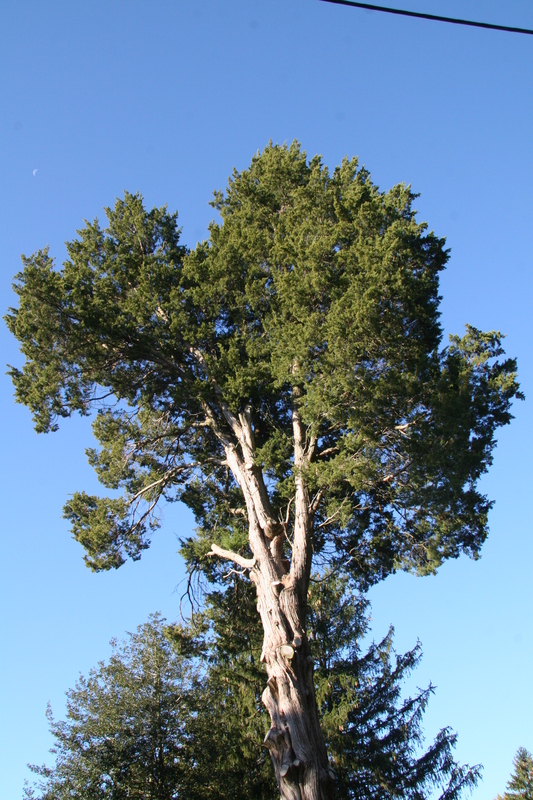 Eastern redcedar is Delaware’s only native juniper, however, it is not a true cedar. Its red and white wood is known for being lightweight, aromatic, and durable, and it is often used to line closets and chests. Although it grows slowly, redcedar is still a very desirable landscape planting useful for windbreaks and screens. Shade-intolerant, it grows well in adverse conditions and its small blue berries are favored by birds. Eastern redcedar is able to expand its range because its berries provide food for birds. Studies have shown that seeds digested by birds germinate more readily than ones that have not.